In this neo-technology era, we can get anything at our doorsteps. There are a lot of websites and applications which are exclusively developed to deliver the items which we order online. We have separate applications and websites for ordering clothes, gadgets, fruits, vegetables, home appliances, and food. Food lovers are very happy to use various food delivery apps. Food delivery apps serve us anytime, so we need not worry about cooking food when we come late to home or when we have surprise guests at home. Apart from food delivery, these apps have increased the business options for many people and many unemployed people have got employment. If you are willing to be an entrepreneur, you can develop a food delivery application and be successful in your business. Jerry on-demands have developed a lot of applications including the leading food delivery apps. They always research and accept your demands and design a user-friendly application for you. 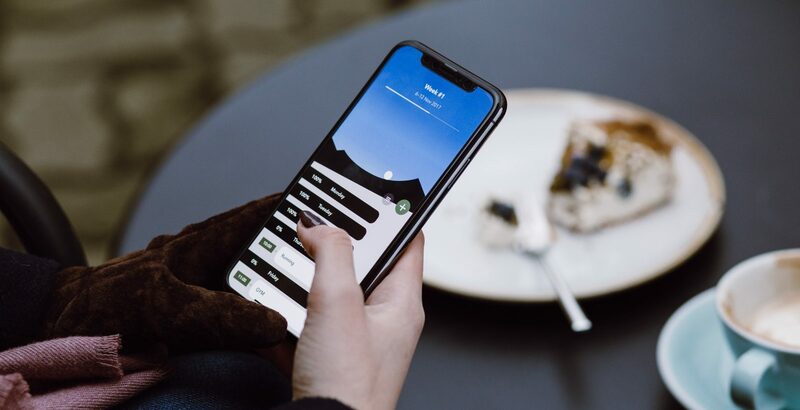 An on-demand food delivery app is a third party platform where a lot of restaurants will be linked together and the customers can access the app and order food. Once an order is placed, the particular restaurant will receive and accept the order. After preparing the order, the restaurant will send it through a delivery person who is assigned by the application management will collect it and deliver it to the customer. By doing this service everyone involved in the process gets benefited. Developing and maintaining such an app is not an easy task. But these apps are now trending, and they are highly useful. Let’s see about the process of on-demand food delivery app in detail. On-demand food delivery apps basically work like a link between two ends in two ways. In other words, both the restaurant owners and the customers act as senders and receivers. 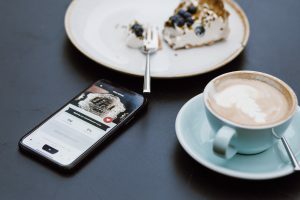 Customers will first send a request by placing an order to a restaurant, and they will use online transaction method or pay on delivery method to pay for their order from one end. On the other end, the restaurant representatives will receive the order and the payment. The on-demand food delivery app acts as a channel that connects these two ends. Through the application, a delivery person will receive the order, and they will collect the order and deliver it to the concerned customer. As a result, they all depend on the food delivery app throughout the process so the app must be super fast and updated. Jerry on-demand application developers are the best in the market. There are many pioneering applications worldwide which made food available for everyone at any place. The food delivery service was first done by Pizza Hut in 1994. Then in the 21st century, it took the technological version. Before the development of food delivery websites and application, people used to book their orders through a phone call and a delivery person from the restaurant will deliver the order. With the food delivery apps, the delivery persons do not belong to any particular restaurant. They belong to the application management company, and they collect and deliver orders on time. Let’s have a look at some pioneering and successful food delivery applications. Zomoto is the pioneering online food delivery app. It was founded in 2008 in India. Initially, this app was used to search for restaurants in a particular location. Later it took the giant version of food delivery. Now, it is operated in twenty-four countries. Zomoto provides special subscriptions for star customers. They also have a separate category called Zomoto gold where customers can find the best rated and reviewed restaurants. Foodpanda was established in 2012, in Berlin, Germany. The company owns a website and an application. People can use both the services to order food. It is operated in one hundred and ninety-three cities. Foodpanda serves people at its best. UberEATS is an American online food delivery app. It was launched in 2014 in San Francisco, California by Uber. It is now located in two hundred and fifty cities. The customers have given the five-star rating for UberEATS in most of the countries. Uber is always best in customer service and uberEATS deliver stunning customer service. Swiggy is an online food delivery app which is an India based company. It was founded in 2014 by Bundi Technologies Private Limited. It is operated over twenty-five cities in India. Swiggy is one among the best leading online food delivery apps in India. Swiggy delivery persons are always on time, and they provide a quality rating for all the restaurants. These apps are different from each other, but they server people with the same moto. They are very inspiring and you can follow the inspiration to establish your own firm. Online food delivery apps act as a chain between the three-sided triangle. The three sides are customers, restaurants and delivery people. One app should meet all the demands of people in these three sides. Here follow the requirements of all three ends that the app has to satisfy. Customers are the core target in the process. Try to put yourself in the shoes of customers and think about the expectations of a customer when they open your food delivery app. The menu of the restaurants should be readily available with the cost of the dishes. The frequent availability of combo offers, cashback facilities and discounts will excite the customers. Restaurants suitable for everyone’s budget should be found in the app. The ratings for the restaurants should be valid and helpful for the customers. Customer reviews play a vital role in the process. Customers would love to know about the status of their order so the availability of GPS tracker will make them happy. Making multiple confirmations through SMS, email and pop-up notifications will make them feel comfortable. Many customers struggle to cancel their orders. But the apps promise them that they will deliver the food within 30 minutes to 60 minutes so the customers should be given an alert that they can cancel their orders within 5 minutes after placing their order. The payment options must be flexible. The customers should be given all the possible payment options like net banking, online transaction, and pay on delivery. If any customer comes up with a query, that should be sorted out within 24 to 48 hours. Customers should be provided with the contact number of the delivery person and the restaurants. The opening and closing time of the restaurants must be accurate and the order must reach the customers on time. Customers should feel comfortable to enroll themselves to the app. So the initial signing up process must be simple. They should be able to view their order history for further reference. Restaurants are the second side of this food delivery triangle. The online food delivery apps designed for the restaurants should have the options to establish and develop their business through the apps. Before developing a food delivery application for restaurants please consider the following points. The quality of the restaurants must reflect in the app. The location of the restaurants must be specific. The various services provided by the restaurants must be validated and uploaded. To fill up all the above details the application should have restricted categories so that the restaurants can place themselves in the correct place. Customer reviews must reach the restaurants. Basically, restaurants use this kind of applications to elaborate their business. Their purpose must be solved. The order should reach the restaurant on time for preparation. The application must provide secured payment receiving options to the restaurants. There shouldn’t be any delay in receiving orders and money. Restaurants must be given options to rate each and every dish in their restaurant so that they can promote themselves through the app. Restaurants also have to give valid information about their services. Invalid information will reduce the rating of the restaurants. Restaurants must take the responsibility of delivering the food to the delivery person as soon as possible. The menu and photographs of the restaurants must be displayed attractively. Giving options to restaurants to customize their page will reduce the workload of the application management office. Delivery persons are directly associated with the application management system. They connect the other two sides of the food delivery triangle. They have a lot of responsibilities so the design made for them should be unique and more accurate. Here follow some important points to remember before designing the app. Delivery persons are travelers so the app must give the accurate address of the customer and the restaurants. They should not face any technical issues related to the app. Google’s maps are the only companion of the delivery persons. It helps them to track the location of the customers and the restaurants. There should not be any error in the order placed by the customers because customers will be disappointed, and they may react in a hasty manner towards the delivery persons. They should know the mode of payment and the app should help reduce their stress instead of adding stress. The app should help them to manage orders and updating the status to the customers. Being an entrepreneur is a dream of many people, but they may not know which will be a suitable business for them. Everyone loves food, so any business related to food will become a great success. The above details about the online food delivery app will give you a new insight to develop your own app. But immediately you will find it hard to develop an app. If you are confused, you need to go to an expert app developer for help. Before getting the expert’s help, please know the following details. Is developing an online food delivery app a good business plan? A good developer must know to customize the application according to the needs of the customers. They must be outstanding designers so that the customers get attracted towards the application. A good developer should analyze a lot of things before finalizing anything related to the food development app. Customers are the heroes of these apps so the apps must satisfy all their needs. The developers must know to manage the commission and pricing schemes of the restaurants. Security is the most important thing that one should keep in mind before developing an online food delivery app. Many people will use their account details to pay money using these apps so they must be two hundred percent safe. Promos, offers, and cash back will excite and attract the customers so the developer should make smart arrangements to manage these important features. Finding a developer with all the above qualities is rare but it is not impossible. One among the best developers for food delivery app development is Jerry. They provide high-quality on-demand app development services. They know the requirements of their customers because they have a strong research team. They also provide a lot of unique facilities for their customers. Jerry provides a lifetime extended license for their customers. They are always ready to extend their hands to support. They are always on time. You can get a very good performing app at an affordable price. They provide you with automatic updates so you need not worry about the technological advancements. Customer support from the side of the app developers is very significant because we can satisfy the needs of our customers only when we get excellent customer support from our developer. Jerry provides free customer support for three months. By developing an online food delivery app through Jerry, you can be successful in your life. Now, you have got a very good knowledge about on-demand online food delivery apps. To start up you need to select your audience, find reliable restaurant partners and hire enthusiastic delivery persons. Help is always available in the world for those who ask. So use the existing options and be successful.